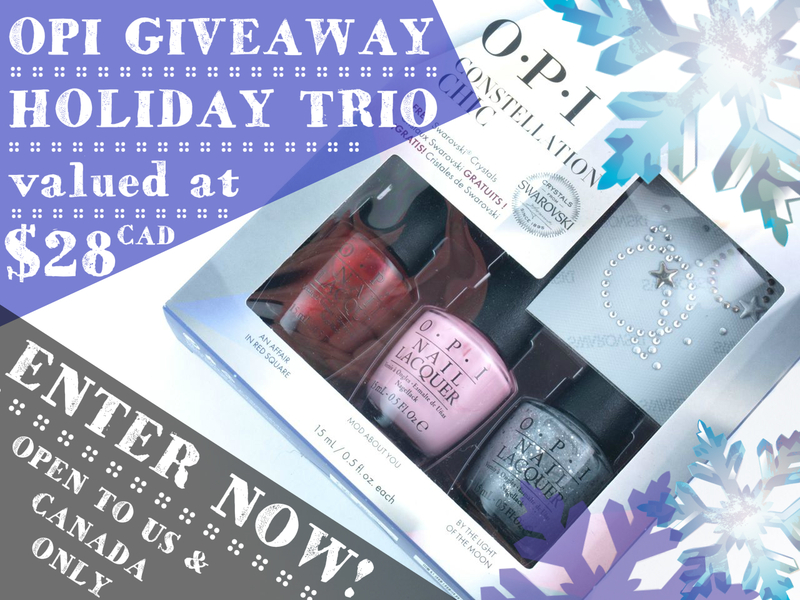 Disclaimer: The giveaway prize is provided by OPI. This giveaway is open to US & Canada only. To enter, you can head on over to my Instagram post to take part. This giveaway ends Friday, Dec.19th, 2015 at 9AM. The winner will be contacted via Instagram DM, please respond within 24 hours to claim your prize.